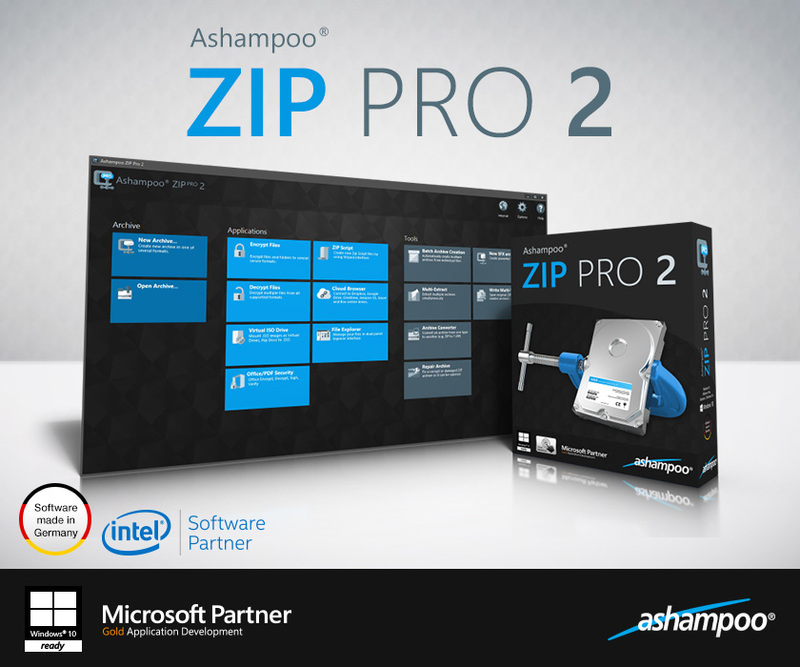 Ashampoo ZIP Pro 2 - Compress, encrypt and backup your files! Compress, encrypt and backup your files! Win one of the 20 licenses for Ashampoo ZIP Pro 2! 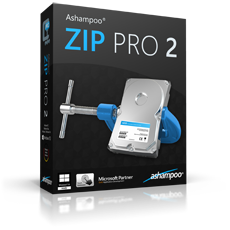 Ashampoo ZIP Pro 2 is not only a simple ZIP program, it's an entire suite that features everything you need to compress, extract, send and encrypt your files. ZIP Pro 2 safely handles 60 formats with ease. Multi-core support speeds up archive creation and optional 256-bit encryption provides that extra bit of security. 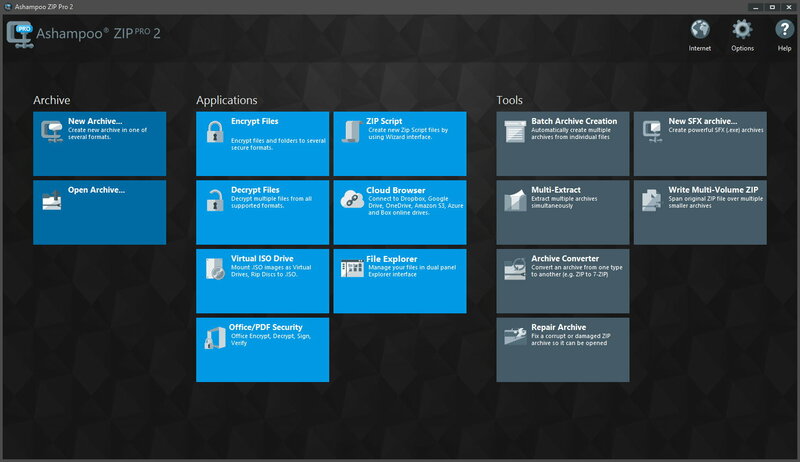 The integrated automatic backup feature supports both local and external storage solutions such as cloud or FTP services. Disc burning is also included. ZIP Pro 2 can create and mount disc images as virtual drives without the need to extract them first. The new integrated Explorer features a classic split view with instant file previews and quick access to all essential ZIP features. Outlook, Word and Excel add-ins provide instant compression and encryption capabilities from each application. A total of 8 modules cover everything from file compression and encryption to data backups. Ashampoo is very good brand.I like their products.